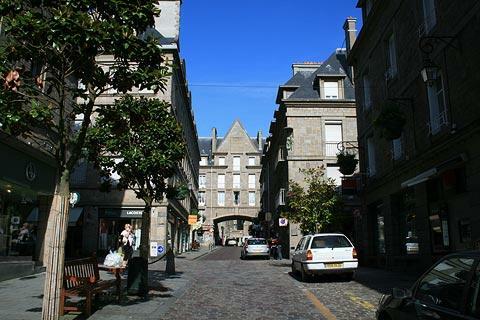 Saint-Malo is on the north-eastern coast of Brittany, near the border with Normandy. 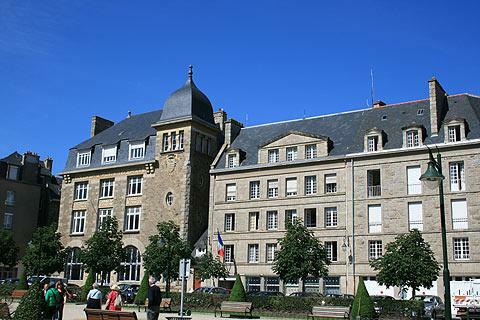 The town is perhaps best known as a major arrival point for ferries from the UK to France, but it is also a very impressive town to visit in its own right - don't just go hurtling through! 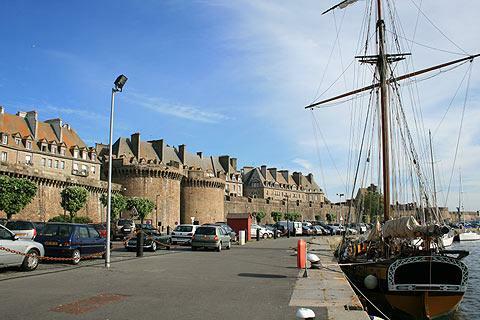 Having arrived in France by ferry several times without visiting Saint Malo itself I had not realised what a lovely town it is, but in the I future will make sure I have a night or two stopover here whenever I am using the St Malo ferry. 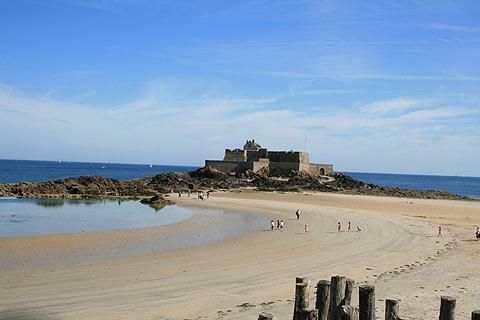 Not only is the town lovely but the beaches are superb with the walks (at low tide) to the Grand Bé and the National Fort. 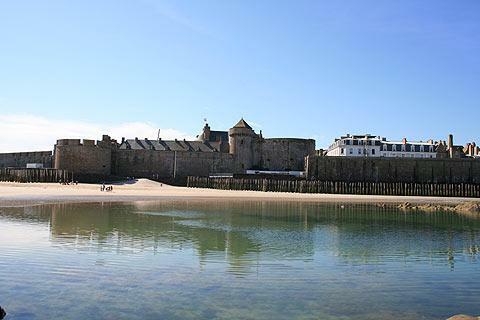 Saint Malo built its wealth during the 16th to 18th centuries, when it was a base for many 'official pirates' - these were ships approved by the King of France to attack and seize the goods from ships of other nations. It was a profitable trade as evidenced by the town that we can now see - and also its fortifications - much of which was paid for by the activities of these pirates. Unfortunately the town was very largely destroyed during the invasion of France in 1944 and much of what we now see is a reconstruction, albeit one of the very highest quality in meticulous detail. 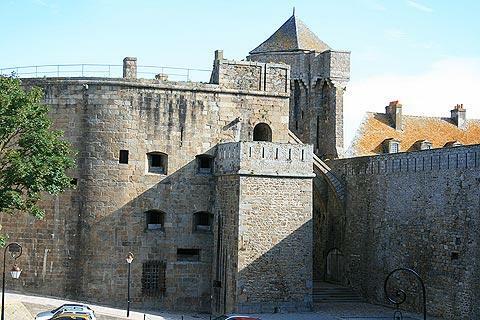 The old town is known as intra-muros or ‘within the walls’ and it lies behind massive ramparts which encircle the town. 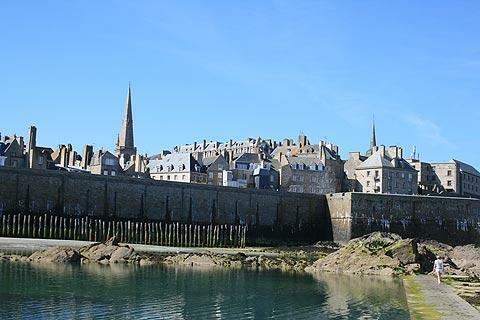 Once a fortified island St Malo is now linked to the mainland but with sea all around it still feels like an island. 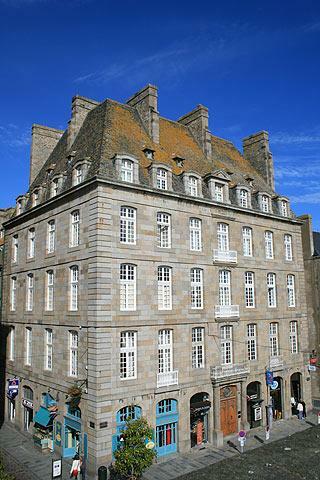 Before entering the old town stop at the tourist office of Saint-Malo, opposite the entrance gate, and pick up a tourist guide which marks out a couple of walks that pass the main sights. 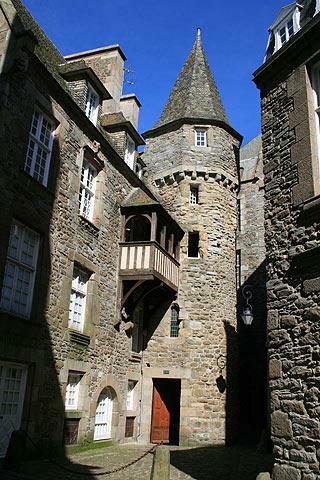 Enter the old town through the impressive Porte St Vincent (which also accesses the rampart walk) next to the castle. 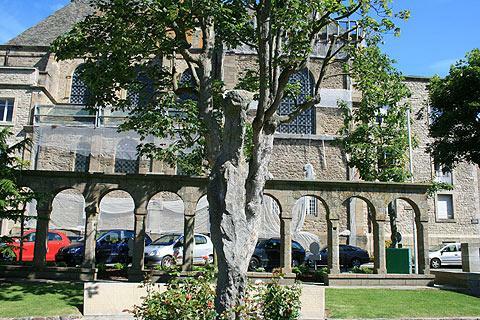 Inside St Vincent's gate is Place Chateaubriand one of a number of pleasant squares in the town which has the castle on one side of it. 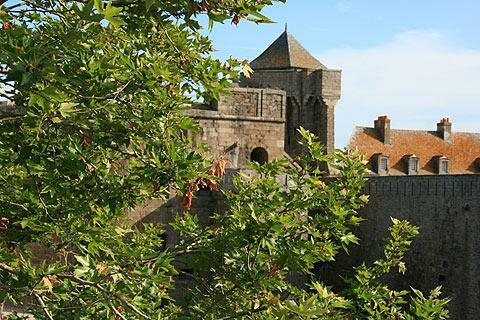 One of the best ways to discover St Malo is to follow the two kilometres walk around the high, sturdy ramparts that encircle the town, with good views of the town itself and also of the beaches, coast and surrounding area. 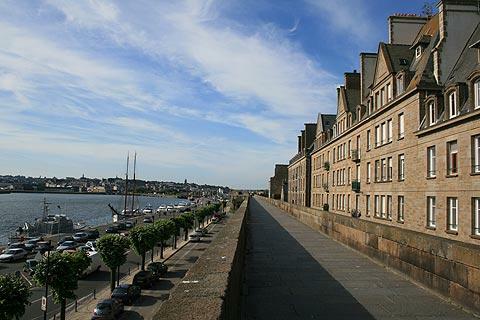 Follow this with an exploration of the walled city of Saint-Malo within the ramparts, to admire the grand granite houses dating from the days of the pirates. 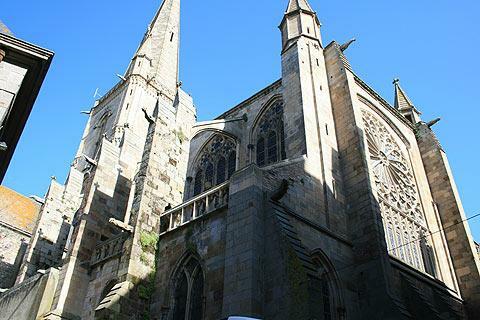 The old town is built of the same grey granite as Mont St Michel, a little further along the coast. The buildings are tall and imposing and the streets fairly narrow offering welcome shade from the summer sun. The streets are lively with shoppers, bars and restaurants and are a pleasure to stroll through. the Parc de la Briantais which is an attractive very large open park area offering good views. If you prefer you can explore using the ‘Little Train’ which runs around the old-town visiting all the main sights. There are various boat trips that can be made from the harbour. 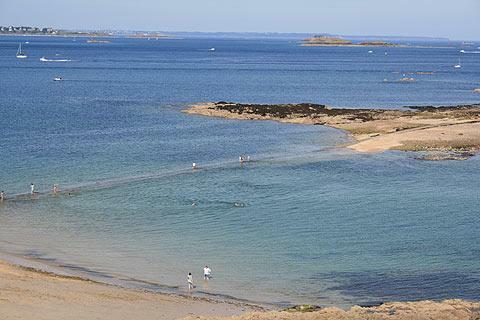 The beaches around St Malo are lovely with golden sand running down to the emerald and blue sea and lots of rocky outcrops to explore. There are also various islands you can walk to. 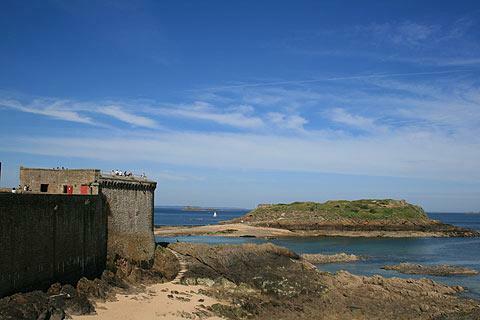 There is one island near the Plage de l’Eventail which has on it the 17th century National Fort, designed by Vauban. Further round the beach are the islands of the Grand Bé and the Petit Bé. The grave of the romantic writer Chateaubriand is on the Grand Bé island. There is another Fort on the Petit Bé island. 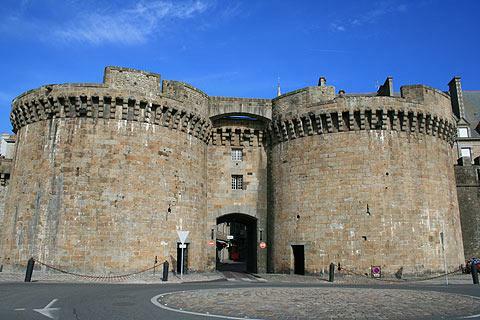 This fort houses an exhibition about the forts of Saint Malo. These islands are all accessible at low tide. Be warned that if the tide comes in you are stranded on the islands until the tide changes. The tide changes quite quickly too - when I was there a group were wading back, fully dressed and more than waist deep in water!! 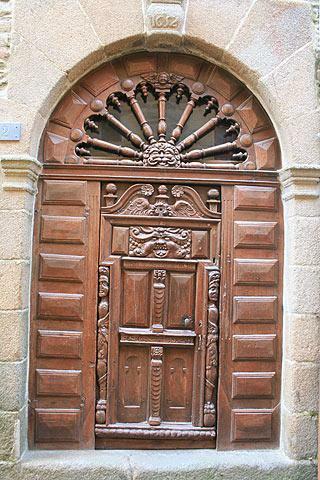 The tourist office can advise you of suitable times to walk out.